Hello ... Hello ... my old friends ... It's great to see you once again! Yours Truly KJS is pleased to announce that the two  pledge campaigns recently recommended and endorsed by ELO Beatles Forever [ELOBF] have both reached their goals, remarkably, on the same day. 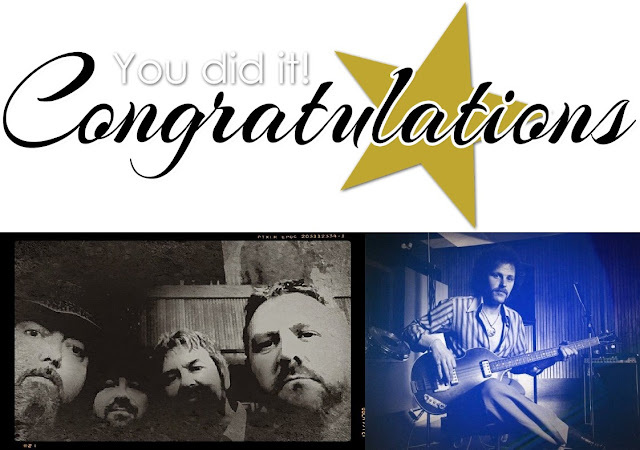 Pugwash's Pledge Music campaign successfully attained 100% of its initial goal today, Wednesday 3rd December [with 48 days still remaining] and within hours of the Kelly Groucutt Blue Plaque Kickstarter campaign finishing at over 60% above its £2,250 target. ELO Beatles Forever [ELOBF] very much looks forward to both seeing the plaque unveiled in March next year and also hearing that new Pugwash album in 2015.